Infrascale solutions consist of disaster recovery and enterprise cloud backup helping to mitigate the downtime caused by server crashes, ransomware attacks, or natural disasters. 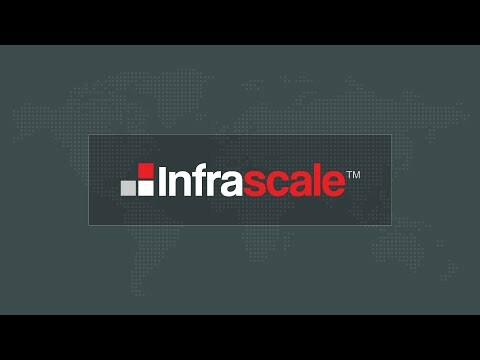 Infrascale incorporates an intelligent hybrid approach enabling companies to spin up VMs locally or from the cloud, permitting users to access company data and applications from a temporary production site, providing time to fix the root problem. Infrascale Disaster Recovery is a hybrid cloud disaster recovery as a service that helps mitigate the downtime caused by server crashes, ransomware attacks, or natural disasters. Infrascale Disaster Recovery backs up physical servers and virtual machines to a local appliance before it is replicated to the cloud. The cloud could be a private cloud, Infrascale’s cloud or a popular third party cloud, such as Google Cloud Platform, Amazon AWS, Microsoft Azure or IBM Bluemix. When a server crashes, or a file just needs to be restored, you can quickly restore recently backed up files locally or from the cloud. 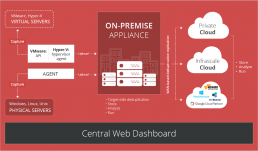 And in events – such as natural disasters – where both the primary server and the DR appliance are unavailable, then systems can be spun up in the cloud as a temporary center of operations until the primary servers can be restored. This hybrid approach enables you to spin up VMs locally or from the cloud, enabling your users to access their data and applications from a temporary production site, buying you time to fix the root problem. Whether it’s a routine server crash or a site-wide disaster, unplanned downtime comes with serious consequences. See how DRaaS can dramatically reduce your downtime. Quickly recover from a ransomware attack without ever having to pay a ransom. See if you’re a soft target for ransomware. Because we’re harnessing the power and scale of the cloud, instead of expensive, on-premise infrastructure, we can equip every organization with affordable failover and data protection. 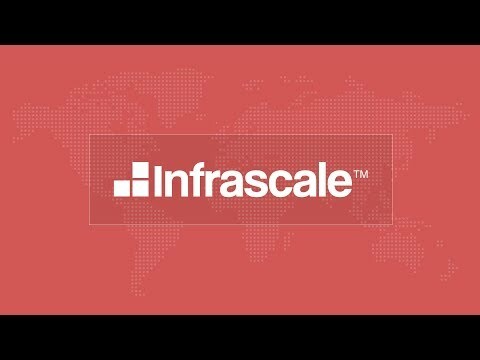 Infrascale protects all of your data from physical and virtualize environments, Windows, Linux, Unix, VMware and Hyper-V.
We offer an industry-leading 15-minute SLA for failover and have an average recovery time of 70 seconds. Don’t believe us? Check out our CloudBoot™ histogram. Use our drag-and-drop orchestration workflow editor to specify the order in which machines are recovered, create groups of machines to boot simultaneously, and specify time intervals between system boots to ensure a smooth system recovery. Infrascale Disaster Recovery rebuilds your network automatically using software defined networking – effectively capturing a complete replica of your on-premise data center in the cloud. 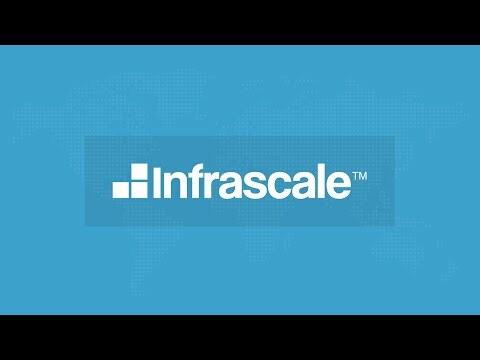 With Infrascale, say goodbye to formal declarations of disasters. Now, you can test with impunity with push-button ease and unlimited DR testing. Don’t pay the ransom. Quickly recover operations by restoring a clean, uninfected version of your files, applications and systems. Infrascale is the only DRaaS solution provider that is a Gartner Leader, Visionary and Cool Vendor for disaster recovery and business continuity management. 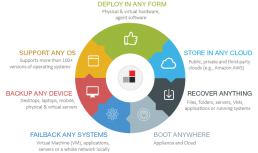 Replicate your data to Infrascale’s cloud, a private cloud, or popular third-party clouds such as Google Cloud, AWS, Azure, or IBM Bluemix. Infrascale Disaster Recovery supports both hybrid cloud (local appliance + cloud) and cloud-only approaches in a unified DRaaS solution. Infrascale offers an enterprise cloud backup solution which includes Anomaly Detection, to alert you when the number of “new” or “changed” files dramatically changes from established benchmark levels. The Anomaly Detection feature provides an important early warning system to quickly isolate a ransomware infection and allow you to recover important data before the entire network is frozen. Pay by the terabyte, not the device. So you can now protect an unlimited number of devices. If a laptop or mobile device gets lost or stolen, you can easily delete business critical data with push-button ease. We use private key encryption along with double-blind encryption so only you can view or decrypt your data in the cloud. This is called Ultrasafe. Multi-factor authentication (MFA) adds an additional layer of security to verify that only your admin can access your backup data. Easily meet compliance regulations including HIPAA, FIPS, FINRA, SOX, GLBA, and CJIS. Paggaiou & 1 Aggistis st. Copyright © 2018 NSS. All Rights Reserved.